This is not your average ChopCult feature bike! 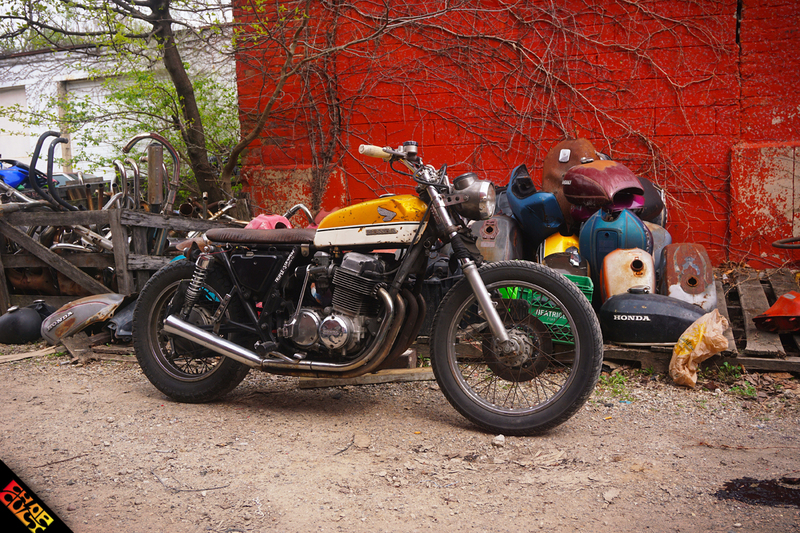 It’s a rat rod vintage Japanese motorcycle built with a mixture of stock parts from other bikes and a little elbow grease. This is the kind of bike I grew up riding and wrenching on; it proves the point that I’ve said before: All it takes is $1000 and a bubble shield! I don’t care as much about what a person rides as I do about the fact that they are on two wheels and wrench on their own. I get tired of tire kickers that will dis a man’s sled and yet, when asked what they ride say, “I’m saving for a bike.” In my opinion, if you are really about the freedom of the two wheel experience, then what you ride is not as important as the fact that you do ride. I know not everyone can start on a fabulous knuckle chop. Bikes like Devin’s are cheap, fun, and reliable when done right. The best part is that, just like Devin, you can be building your other ride slowly while riding the wheels off an old CB. Sure, it was an import 40 years ago. 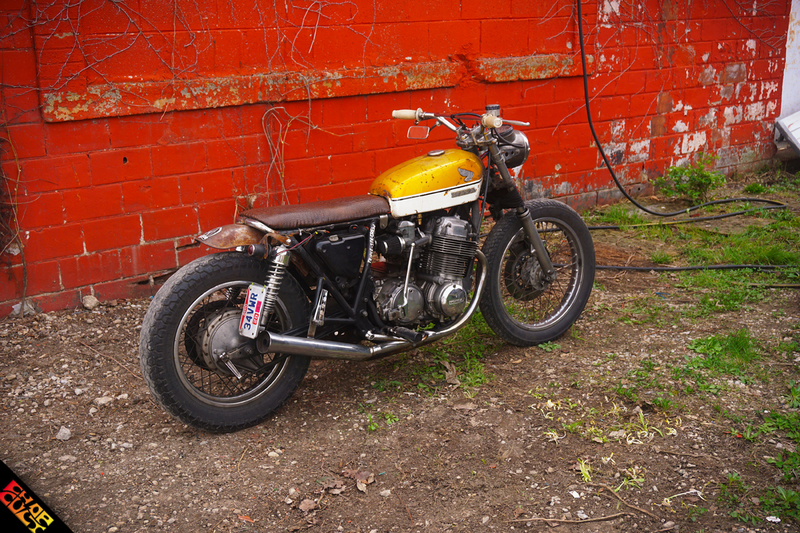 However, bikes like this support the American based industry now when people buy parts from US based suppliers and American- owned salvage yards to keep them running; and that’s a good thing. Vintage CBs are not everyone’s cup of tea, but they are a classic part of motorcycle history and provide a plentiful and cheap entry-level point for new riders and builders today. 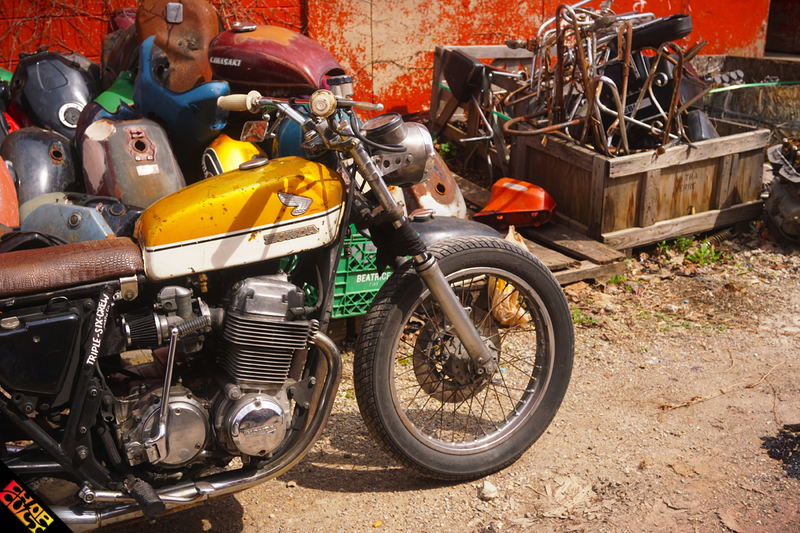 Next time you see a dude riding a vintage Japanese motorcycle, be more concerned about the fact that he is riding, rather than knocking his bike for the sake of it. As they say, “You meet the nicest people on a Honda”; and some of the baddest chopper dudes I know started on a 70’s CB-something-or-other. All it takes is $1,000 and a bubble shield! (if you’re in it to do more than pose). My old spare part motor vanished... seeing that one uncovered out in in the weather bothers me. Bag that thing like its trash to avoid it becoming trash. Thanks for commenting... believe it or not a fair amount of work goes into generating content like this, so its nice to have an active member like yourself chime in. Man I am loving that bike!! Cheap, fast, tough, a blast to ride, and has buckets of class and style. Great job!! They should've come stock with that tank. Sweet!! A bike with character. Dig it. I love it. Didn't realize the smaller cb350 and 450 tanks would fit over the 750 frame like that. The smaller tank really changes the personality of the bike...for the better. 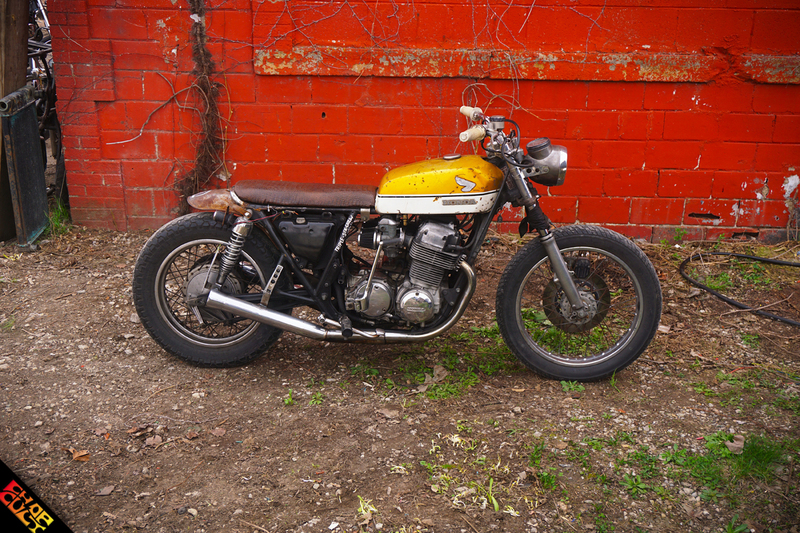 Would have liked to have read a bit more about the bike and the builder and less apologizing that it's not a Harley, but awesome to see some Jap love! This thing is awesome. Little Motivation to finish mine up! I like it . Its great to see that these old bikes get new lives . I found mine on its way to the dump . I put about 1000 bucks in it . and bam . love it . great job.